Mantis initiates the checks, collects the evidence and shows whether the requirement is met. With mantis the user automatically receives the questions he/she can and may answer at that moment. The content of the questionnaire is interactive and takes into account the location of the user by use of Bluetooth beacons, QR labels or other devices. The user does not have to look for the questions that he/she needs to answer. While answering the questions, the user always has access to the original requirement. The questionnaire is answered via the Mantis App on the tablet or via the browser. In answering the questions, evidence such as reports, certificates or a photograph taken on the spot can be added. In the case of non-compliance that requires immediate attention, Mantis automatically sends a message to the pre-determined responsible or interested party. In this way, control measures can be taken immediately. By repeating the question at the next scheduled check, compliance can be verified again. What does the use of Mantis On? The combination of structures and automation ensures that you can control compliance actively. By sending active controls, the relevant information is collected. This shows the extent to which the requirements are met. 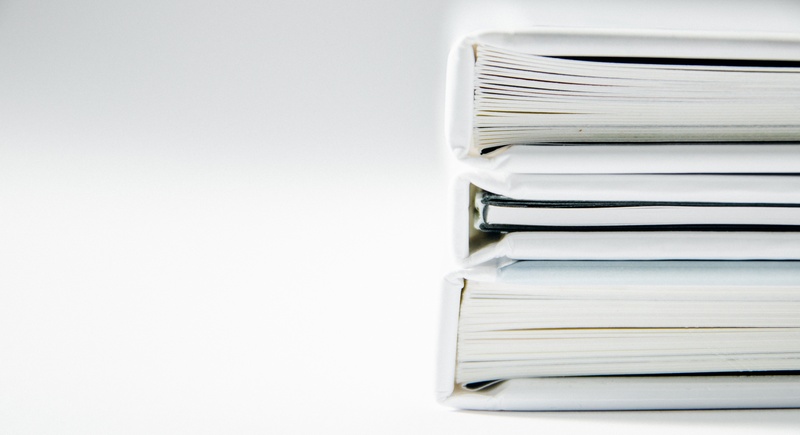 The complete compliance process is streamlined, from carrying out controls to compiling reports. Non-compliance is reported earlier, which means that management measures are less drastic. Demand pressure decreases because mantis only raises the relevant questions. The employee carries out the checks themselves and is therefore also outside the run of the checklist to be aware of the requirements. Pro-active monitoring identifies bottlenecks in a timely manner. Mantis facilitates communication between the work floor and management. The Grasshopper™-method is developed by Alveus to practically check complex requirements. First of all, the requirements are translated into a set of simple questions that jointly meet the requirements. The requirements are specifically made so that the employee is no longer required to translate the original requirement into his situation when performing a check. Roles and responsibilities are assigned so that questions are made only to the employee who can and must answer the questions. In addition, each question determines how often or when it is to be answered. This guarantees an active and timely validation. Criteria are set out for each question to be checked. The Grasshopper™-method provides the input by which the Mantis application manages the verifications, collects answers and evidence and demonstrates the degree of compliance. 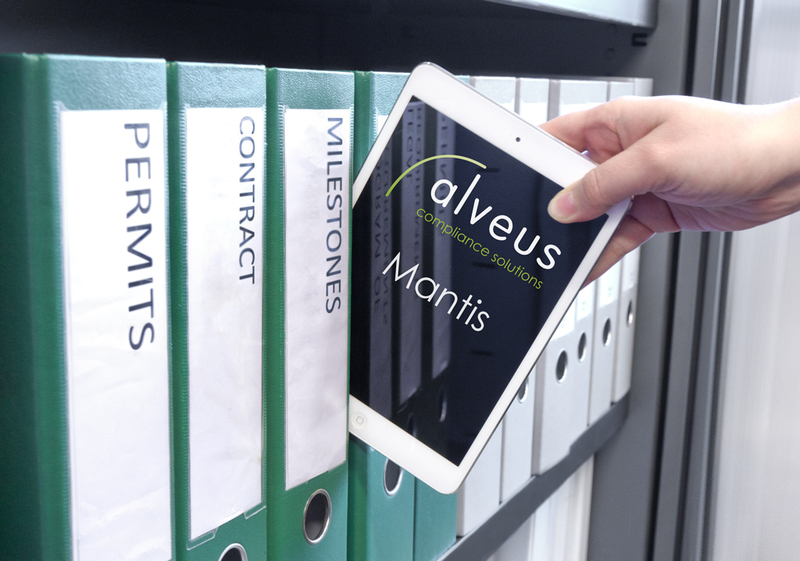 Alveus supports the full compliance process. Together with the customer we look at what degree of guidance is desired. We give you short training courses and you can get started right away. We also provide support in analyzing compliance obligations and arranging mantis. The operational compliance training is aimed at the operator employee who is required to ensure that he or she not only fullfills the requirements, norms, laws and regulations, but who is also expected to show that he or she is satisfied. The duration of the training is 1 day and is given at our premises as well as on location. 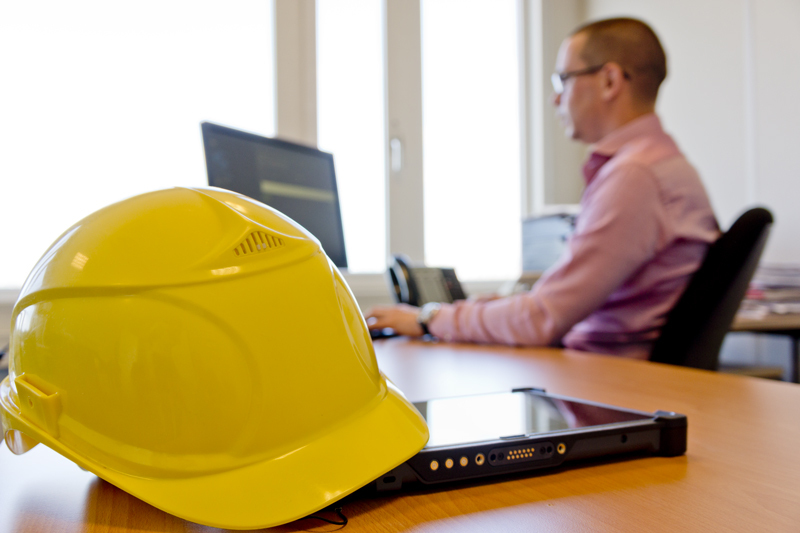 During this training, the projectteammember learns how to practically registrate fullfillment of the contractually agreed requirements detection duty with the mantis apllication. This training is suitable for both the client's project staff and the contractor’s team. During this training you learn to translate complex requirements into practical questions according to the Grasshopper™-method. With the Grasshopper™-method, you make complex requirements practical and insightful. The demonstrable fulfilment is then a lot easier. During this training the administrator learns to set up Mantis in the organization and how to utilize all the possibilities of the Mantis application. After this training you can immediately get started with setting up Mantis. The user training is aimed at the employees or teammembers who are going to carry out the checks. During this training, they learn how to answer the questions on both the tablet and in the browser. For more information about the training, please contact us. 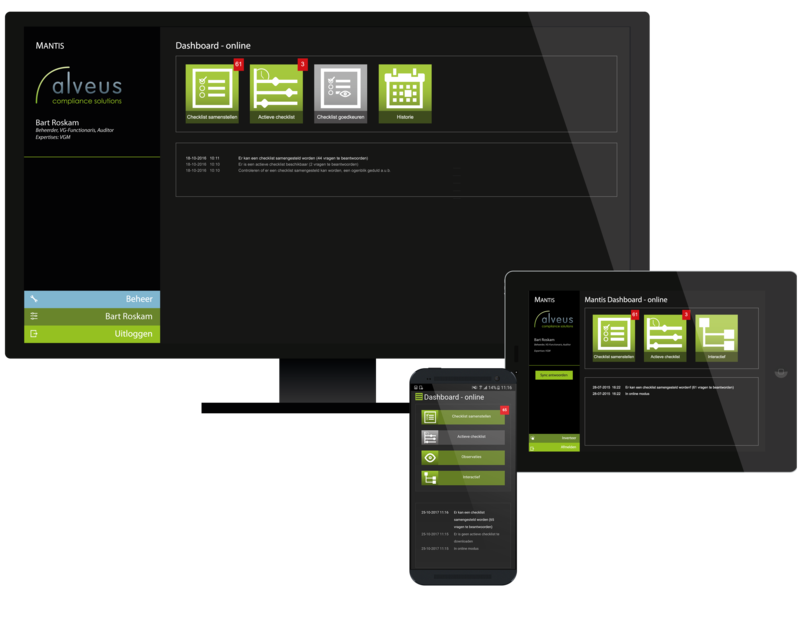 Alveus offers compliance management as a full service. This implies that we do the analysis of the requirements, the translation into practical questions and the introduction into Mantis. We also provide the necessary hardware. Through our training courses you can get started immediately with running the controls.